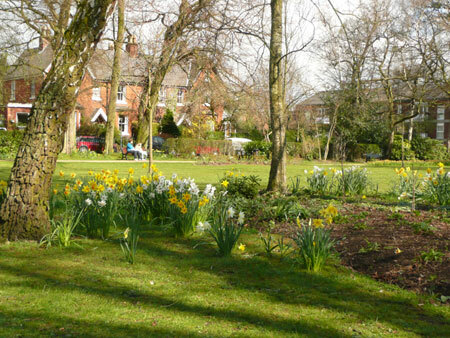 A small urban park in the middle of a busy village surrounded by houses, shops, offices and a primary school. The Friends group have raised funds to provide an all weather pathway, new seats and litter bins, and replant with shrubs to attract birds and butterflies. It is a jewel of tranquility and beauty!